Chic CEO, LLC Founder & CEO Entrepreneurs with style. Ed’s special guest is Stephanie Burns, CEO of Chic-CEO, a company and website dedicated to giving women practical information to start and help grow their dream of owning and succeeding in their own business. 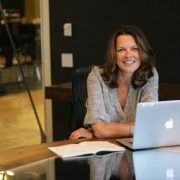 Chic-CEO was named one of Forbes top-100 websites for women in 2011! At Chic CEO (pronounced sheek ceo), we believe women should have the business knowledge and support they need right at their polished fingertips. We created this website as a resource for all the amazing women we’ve met who either didn’t know how to implement their ideas or were too afraid to take the plunge. At Chic CEO you’ll find easy to understand, easy to implement business knowledge in its most basic form. Best of all, you’ll find other women who are willing to share their advice and experiences simply because someone else did the same for them. The ground level information is here for you to get started in being your own boss – the rest is up to you. 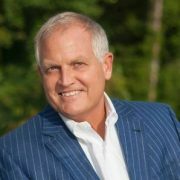 Since joining Employers Group in March, 2007 as the youngest CEO in the association’s 111-year history, Mark Wilbur has brought an extraordinary level of energy and leadership to steadfastly transform the organization and re-establish it as the industry leader in human resources professional services; further, he has set new standards in member care and assistance. 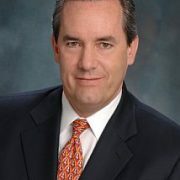 Before joining Employers Group, Mark was the Associate Dean of the Marshall School of Business at the University of Southern California (USC) for three years, leading many efforts from external affairs, development and executive education, including developing customized solutions for companies to help meet the critical needs of their employees and executives. Prior to USC, Mark was a Partner in Business Consulting at Arthur Andersen, developing solutions for clients across the U.S., Asia and Europe. Mark’s professional experience and expertise are in strategic planning, business process design, customer relationship management, organizational change, customer service design and enhancement, as well as global operations and service integration. He’s served some of California’s most prized companies, including most of the major entertainment companies. Furthermore, Mark is a sought after speaker on a variety of topics, including leadership, hiring practices, retention, customer service and process improvement and delivering to national conventions, corporate events, and university classrooms. SO…How can you get more of what you want? 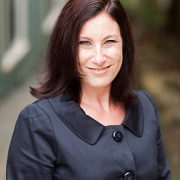 Anna Carsen, VP of Products Management for Automatic Data Processing (ADP) Inc, is an industry thought leader for Mobile HR Solutions. 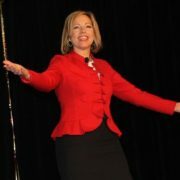 Cynthia Burnham, author of The Charisma Edge tells us how we can all gain that special “something” called charisma. 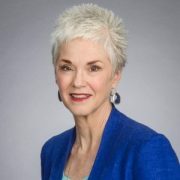 … a highly-experienced senior management development consultant who brings her clients extensive expertise in motivational leadership, executive presence, communications alignment and sales. Called a “charisma coach” by her clients, she helps leaders become more confident and aware so they can connect more powerfully with important employees, colleagues and customers. Recent representative clients have included Booz Allen Hamilton, Sony, SAIC, SPAWAR, Biosite, Qualcomm, Illumina, State Farm Insurance, Northrop Grumman and L-3. Her ability to help companies and individuals understand, integrate and accelerate change has made her an invaluable asset to the organizations with which she has worked. Prior to returning to her home, San Diego, in 2005, Cynthia was Senior Vice President, Director of Employee Relations & Learning for the Wall Street firm, UBS Financial Services. In that capacity, she led multiple groups for the 20,000 U.S. employees of the division and participated in numerous global initiatives. She managed a full-service field and home office training department, as well as Corporate Employee Relations, which created Human Resources policies and programs and included a widely-acclaimed internal alternate dispute resolution department. She also managed the Diversity function on an interim basis during an extended search for a Director of Diversity, and she is well-grounded in the resolution of cross-cultural issues. Cynthia earned an M.B.A. in Marketing from U.C.L.A., and a B.A. in Creative Studies from the University of California at Santa Barbara, where she was elected to Phi Beta Kappa, and spent a year in Bordeaux, France. 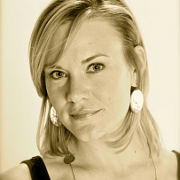 She speaks conversational French and is a professional singer and songwriter, living in Descanso, CA. She is also certified in Laughter Yoga. Bill is Ed’s special guest. 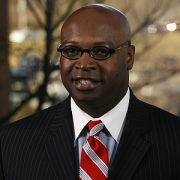 Bill Treasurer is Chief Encouragement Officer at Giant Leap Consulting (GLC), a Courage-building company that exists to help people and organizations live more courageously. Bill is considered the originator of the new organizational development practice of “courage-building”. Bill is the author of Courage Goes to Work, a book about how to inspire more courageous behavior in workplace settings. The book became the 6th bestselling management book in China. Bill’s first book, Right Risk is about how to take smart risks, and draws on Treasurer’s experiences as both an organizational development professional and as a daredevil athlete. Bill’s newest material is titled Courageous Leadership: Using Courage to Transform the Workplace. As a comprehensive off-the-shelf training program, the material is designed to help organizational development practitioners and training professionals inspire more courageous behavior in their organizations. Learn more at www.pfeiffer.com/go/courage. 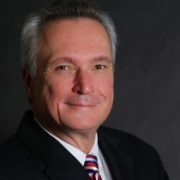 Bill’s insights have been featured in over 100 newspapers, including The Washington Post, The NY Daily News, The Chicago Tribune, Atlanta Journal Constitution, Boston Herald, and Investor’s Business Daily. Bill’s insights have also appeared in such magazines as Leader to Leader, Leadership Excellence, Business-to-Business, Parents Magazine, Redbook, Women’s Day, Fitness, and The Harvard Management Update. 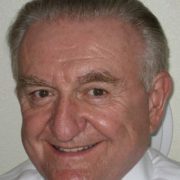 Since 1991 Bill has conducted over 500 corporate workshops and webinars for notable clients such as NASA, Accenture, Monster.com, Bank of America Merchant Services, CNN, Spanx, the Center for Creative Leadership, UBS Bank, EarthLink, PNC Bank, the U.S. Forest Service, the National Science Foundation, and the U.S. Department of Veterans Affairs. Bill is a former member of the U.S. High Diving Team. For seven years he traveled throughout the world performing with a team of high performing athletes. During that time, Bill did over 1500 high dives from heights that scaled to over 100 feet…sometimes on fire! Bill holds an MS degree from the University of Wisconsin and attended West Virginia University on a full athletic scholarship for springboard diving.